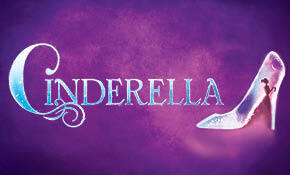 Tuesday, March 26, 2019 at 7:30 p.m. | Theater Lobby Doors at 6:30 p.m. | Theater House Doors at 7:00 p.m.
Rodgers + Hammersein’s CINDERELLA is the Tony Award®-winning Broadway musical from the creators of The Sound of Music and South Pacific that’s delighting audiences with its contemporary take on the classic tale. This lush production features an incredible orchestra, jaw-dropping transformations and all the moments you love – the pumpkin, the glass slipper, the masked ball and more – plus some surprising new twists! Be transported back to your childhood as you rediscover some of Rodgers + Hammerstein’s most beloved songs, including “In My Own Little Corner,” “Impossible/It’s Possible” and “Ten Minutes Ago,” in this hilarious and romantic Broadway experience for anyone who’s ever had a wish, a dream…or a really great pair of shoes. Venue Presale: Tuesday, February 5, 2019 at 10:00 a.m.
Venue presale tickets will be available online only at Ticketmaster.com with the venue presale code. The venue presale code will be released via email to all venue subscribers at approximately 10:00 a.m. on Tuesday, February 5th. If you do not subscribe to The Dow Event Center email newsletter and would like to receive the venue presale code, please sign up for our emails at https://bit.ly/2LC76Y2 by Monday, February 4th at 11:59 p.m.
On Sale: Friday, February 8, 2019 at 10:00 a.m.
Tickets on sale to the general public will be available at https://bit.ly/2Kv3Cpy, Ticketmaster by phone 1-800-745-3000 or in person only at The Dow Event Center Box Office.